Instinctively, he dives forward to break it up, and is shot. It is not until he wakes up in the hospital that he learns whose lives he has saved -- the Duke and Duchess of Kent. By his impulsive act, he has gained both the gratitude of a nation and the enmity of its most dangerous men -- men who do not sit on their hate. 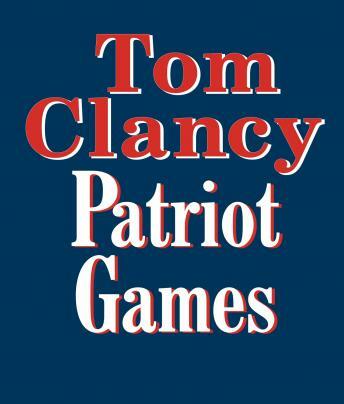 Patriot Games is a prequel to The Hunt for Red October and has all the excitement and energy of Clancy's famous first book. One of Clancy's best books! It's filled with excitement and suspense as Jack Ryan tries to unravel the mind of a terrorist, while retaining his own humanity. I loved the complexity of Jack Ryan's character, and the moral dilemma he faced in dealing with the terrorists that threatened his family. All in all, it was an excellent book with brilliant narration that kept me interested throughout the story. I enjoyed this book far more than the movie. Which I love and enjoy often. This will be one of my favorite books.